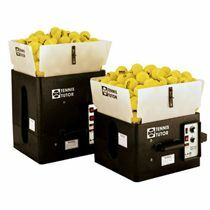 The Lobster 301 Tennis Ball Machine is a mains operated pneumatic tennis ball machine, suitable for beginners to advanced players. 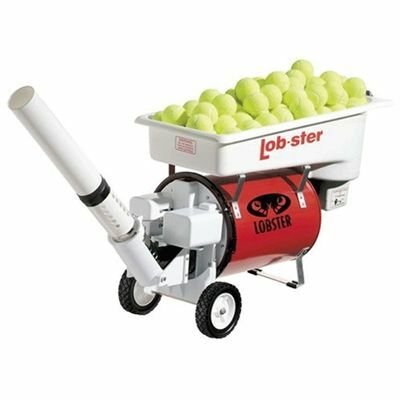 It eatures a larger tennis ball hopper and a greater ball ejection speed than the Lobster 201. 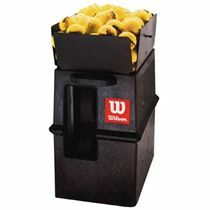 This machine offers perfect repetition of serves, lobs, deep drives and volleys. Ball speed - standard barrel 28-68mph, lob barrel 22mph, no barrel 20mph. Top speed cannot be reached when a spin adapter is applied. Oscillator - continual side to side sweep movement to a repetitive (operator-set) depth, at factory set oscillating-speed and width. for submitting product review about Lobster 301 Tennis Ball Machine.